ZD241 at Bruntingthorpe in June 2015. In the initial plans that BOAC had for the VC10 there was room for several Super VC10s with a large main-deck freight door. After BUA had pioneered this addition to the VC10 options package more airlines became interested in carrying both passengers and cargo. Because of this the BOAC orders were changed in 1963 to include both freight door equipped and pure passenger carrying Super VC10s. 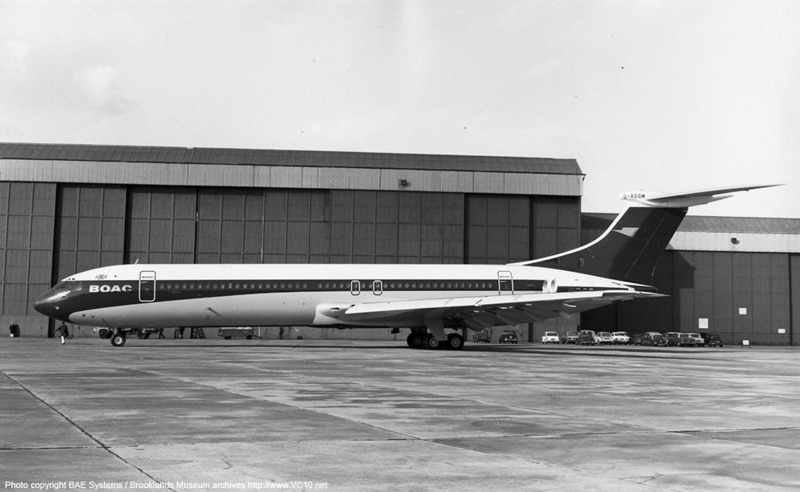 G-ASGM was supposed to be a type 1152 Super VC10 with main-deck freight door but this was soon changed to a type 1151 variant when BOAC decided to stick to a single variant. 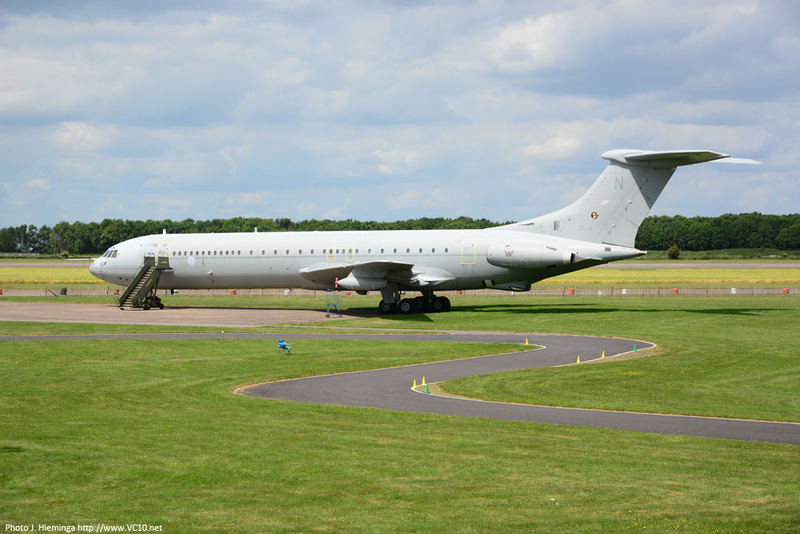 By the time G-ASGM arrived at Wisley after its first flight, the development of the Super VC10 had reached a point where the airframe only had to prove that it performed as per the documentation. 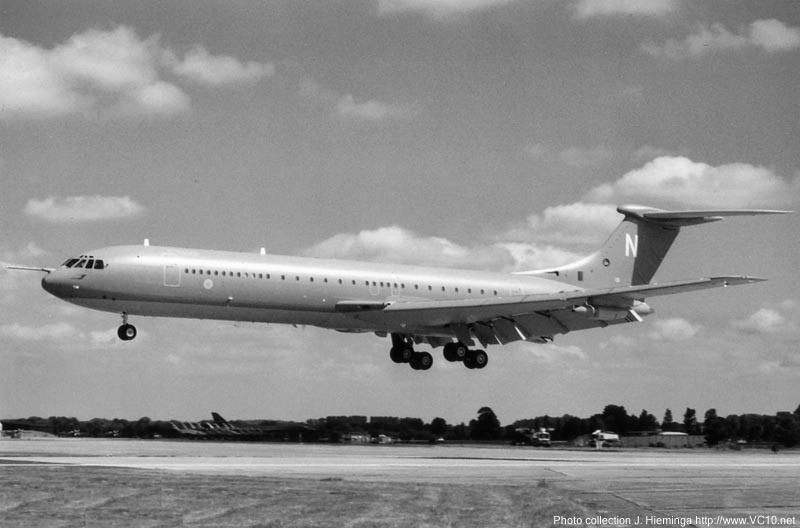 After only eight days the VC10 was ready to join the BOAC fleet at Heathrow, shortly after it would start carrying passengers around the world. It would fly for BOAC for six years and six more in British Airways colours. 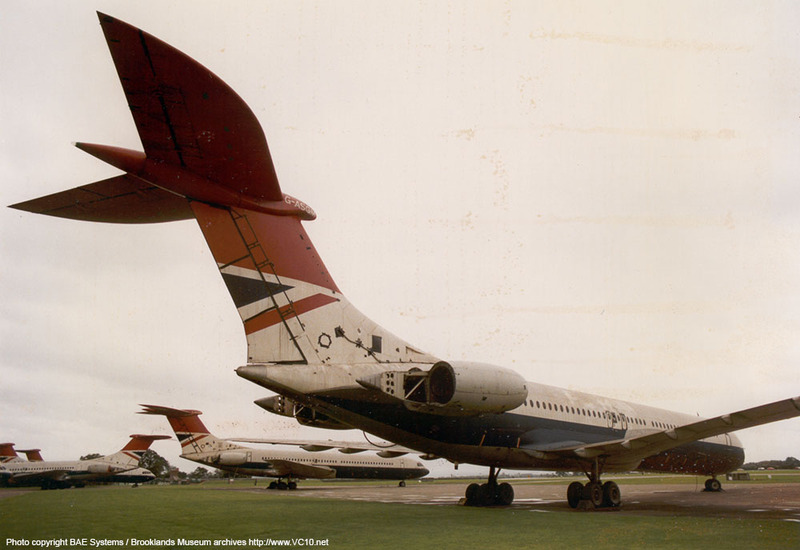 When the Super VC10 fleet was moving towards retirement 'GM spent some months at Prestwick in storage before a final stretch in service in late 1980 and early 1981. 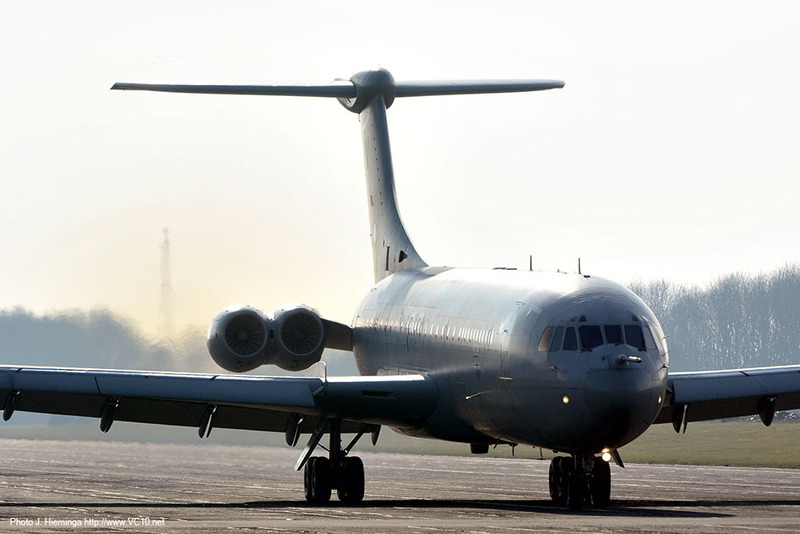 By April 1981 the RAF registration ZD241 had been assigned to the airframe but it would spend almost exactly ten years standing still at Abingdon before its second career could begin. 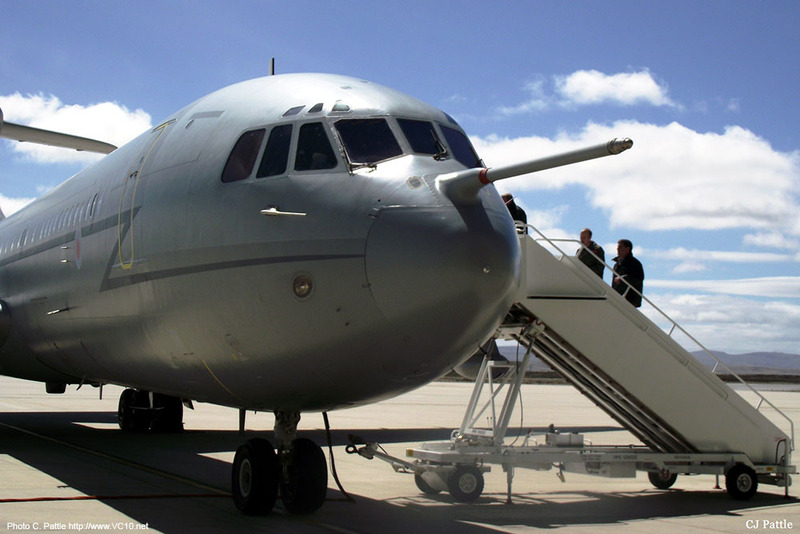 As a K4 tanker the aircraft would have a second life stretching another 18 years. 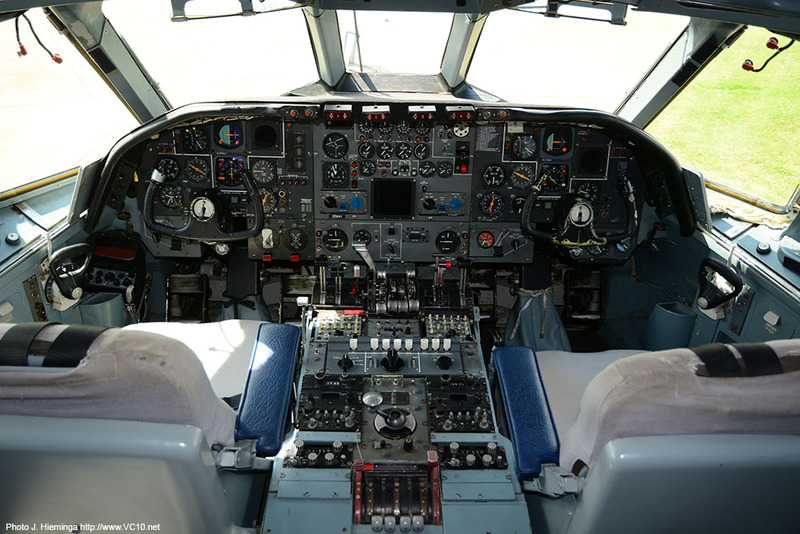 The K4 tankers featured a newer avionics fit than the older K2 and K3 tankers which offered some additional features, but it carried less fuel as no fuselage tanks were installed. Although a very capable tanker, the long storage had left its marks on the airframes and the relatively newer K3s would outlive the K4s. ZD241 did its best though and became the longest serving of the K4 variant. 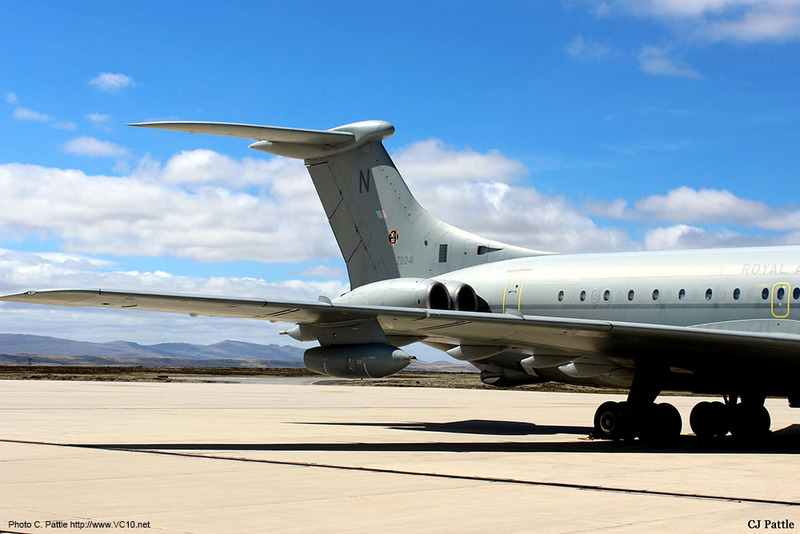 During its final years it was to spend many months at RAF Mount Pleasant on the Falkland Islands, serving 1312 Flight in support of the based fighters. Having a single airframe that far from its support organisations did cause its share of headaches of course, a situation that did not improve with ZD241 becoming a unique variant. At one point the airframe was marked with four penguins next to its entrance door, signifying the number of weeks it spent unservicable at Mount Pleasant. 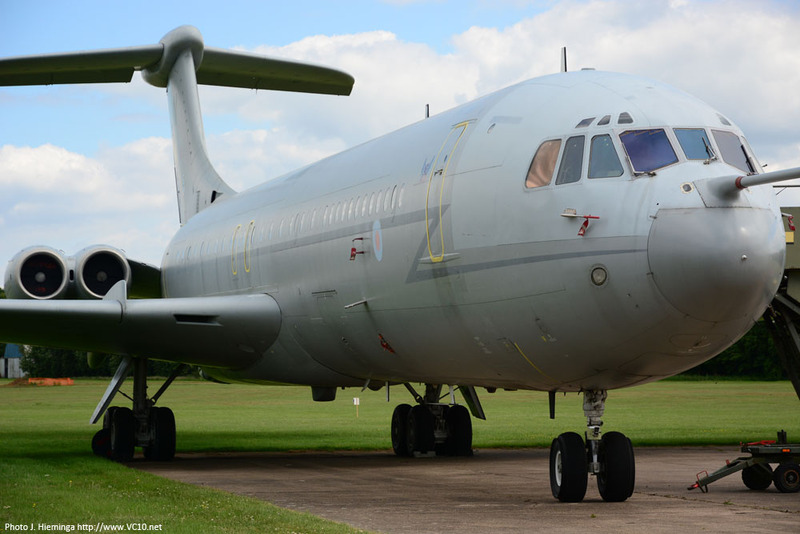 In between these occasional problems it performed its duties as well as any other VC10 of course. When ZD241 landed at Bruntingthorpe, news emerged within weeks that the airframe had been bought for preservation at the airfield. This situation changed with the arrival of XR808 four months later. As the last C1K this was seen as a more fitting subject for preservation at Bruntingthorpe, but some months later the RAF Museum decided to have XR808 taken apart and moved by road to Cosford. That meant that the focus shifted back to ZD241 and in December 2013 the K4 was slowly coming back to life as four Conways had been reinstalled in the engine pods. Soon the sound of the Conways was heard around Bruntingthorpe again and on 1st May 2014 the first trial taxi run along the runway was carried out in preparation for its public debut at the Cold War Jets open day later that month. 11 April 1963 Registration G-ASGM reserved, initially the order was for a type 1152 VC10 with freight door but this was changed to a type 1151. 26 February 1968 First flight. 6 March 1968 Delivery to BOAC as G-ASGM. 4 July 1971 Became the first jet to land in the Seychelles, having flown there from Nairobi crewed by Captain Nicholls and F/E Gordon Sears. After arriving at 11:20, the aircraft left again at 13:45. 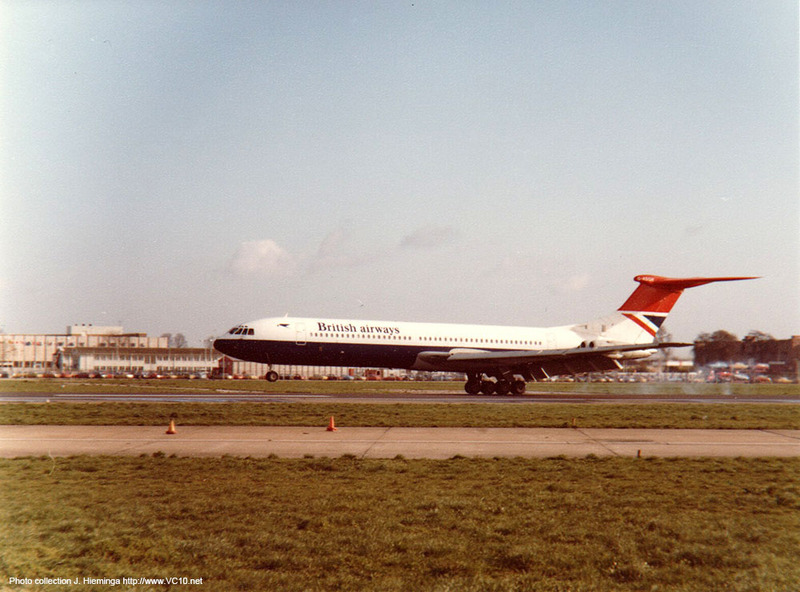 1 April 1974 Ownership transferred to British Airways. 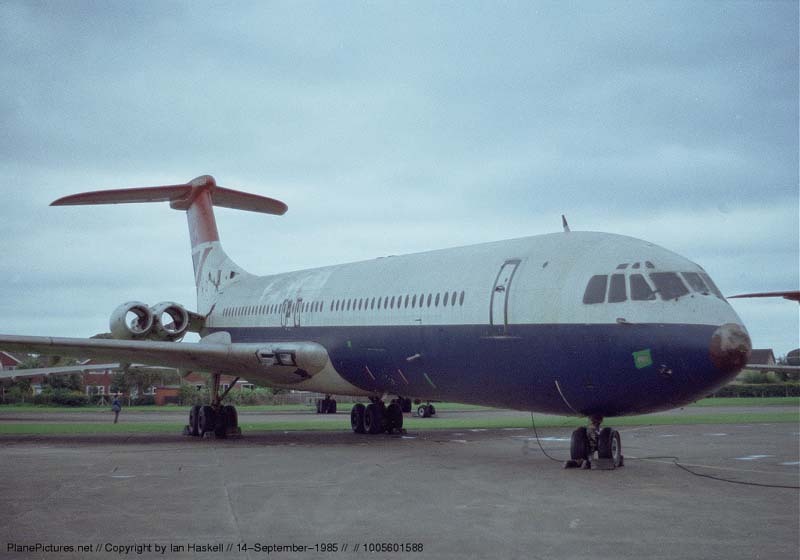 7 May 1980 Withdrawn from use at Heathrow, ferried to Prestwick for storage. late 1980 Back in service at LHR. Early 1981 In storage at Prestwick. 12 April 1981 Sold to RAF. 21 April 1981 Ferried to RAF Abingdon and stored as ZD241. Hours flown at time of retirement: 45682hrs. 27 April 1981 Registration G-ASGM cancelled as 'sold to RAF'. 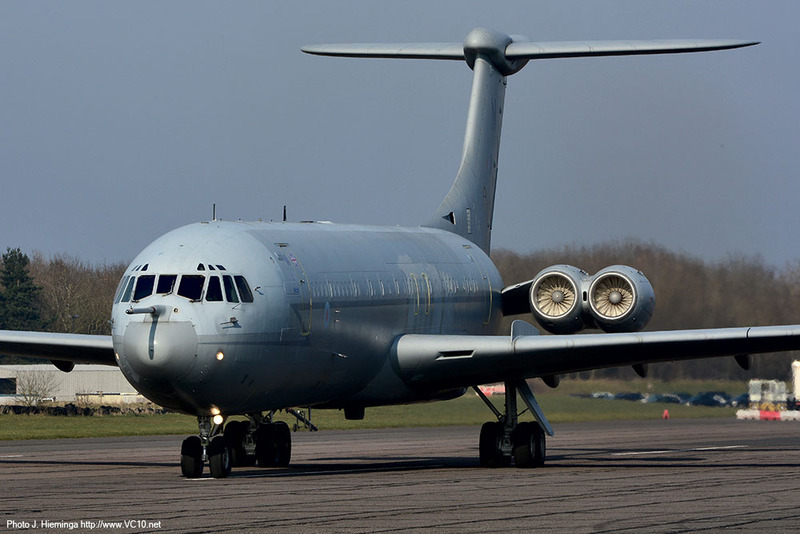 16 April 1991 Ferried to Filton for conversion to RAF tanker. 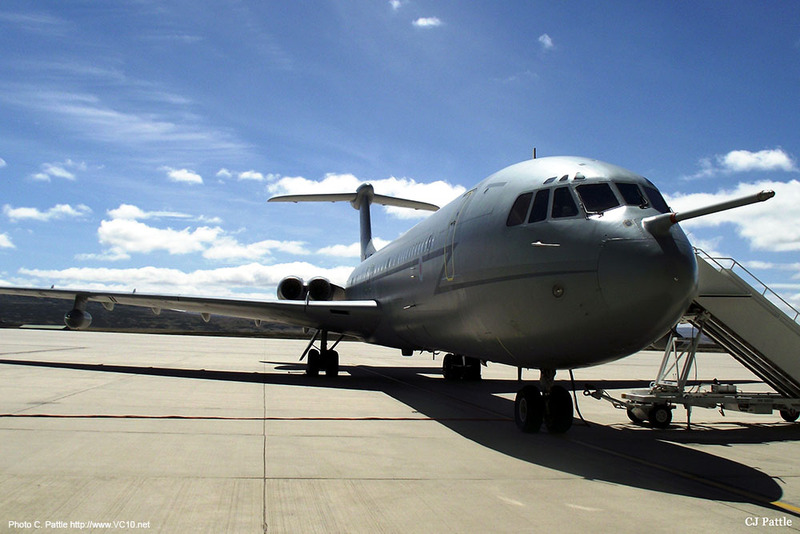 10 May 1995 First flight from Filton after conversion to K4 tanker. 9 June 1995 Delivery to 101 Squadron, assigned code letter 'N'. 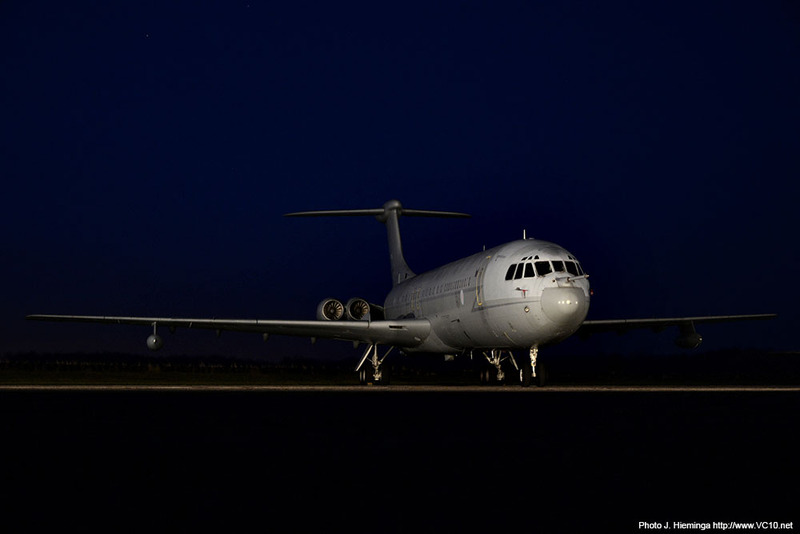 4 February 1996 Flt Lt Armstrong and crew flew the 1000th 101 Sqn Op WARDEN sortie in ZD241. 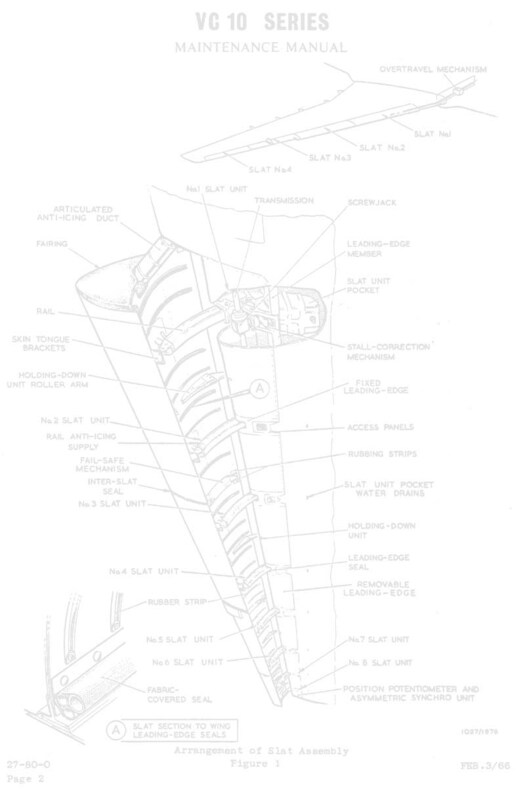 ZD241 has a scroll with 'Leonard Cheshire VC' applied. This is the only VC scroll that was never flown on one of the original RAF C1s. 2010? 'David Lord VC' scroll applied to ZD241. 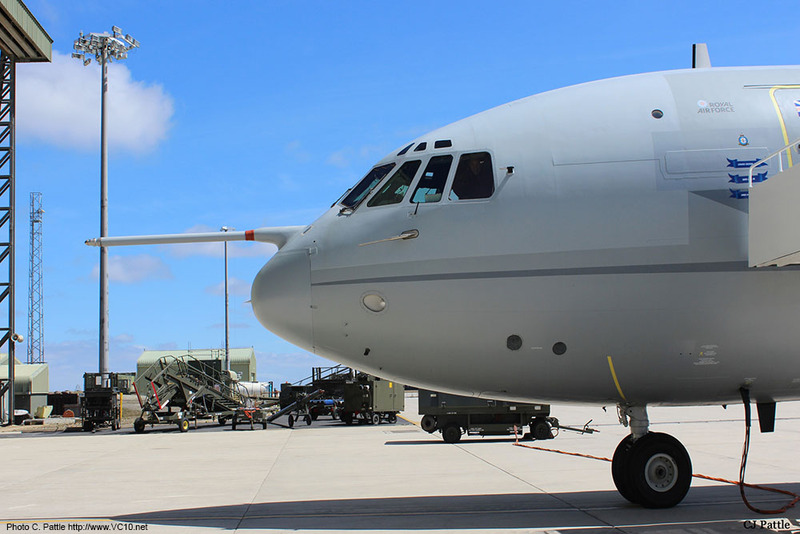 9 January 2012-12 March 2012 Maintenance visit to RAF Brize Norton, returned to Falkland Islands. 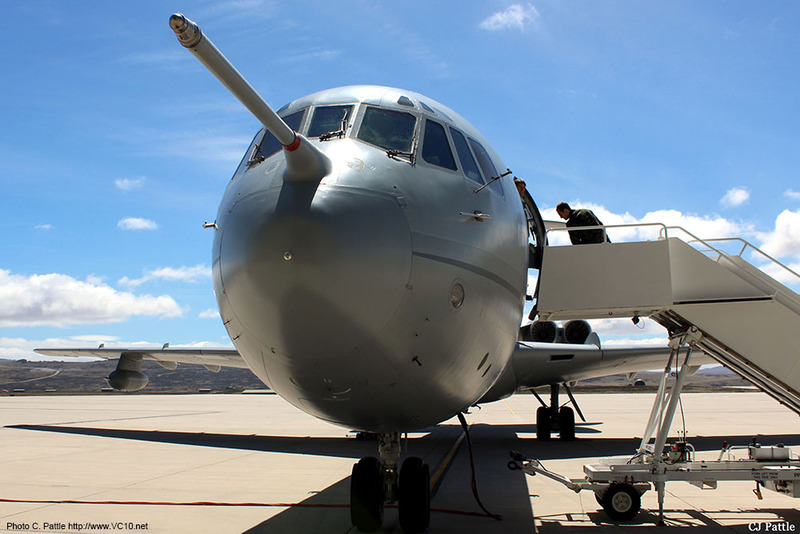 30 July 2012 Returned from the Falkland Islands for maintenance. 'James McCudden VC' scroll applied during this visit. 28 August 2012 ZD241 was scheduled to fly in a three-ship formation with XR808 and ZA147 as this was the last opportunity to fly the three different variants together. Unfortunately delays in maintenance meant that ZD241 was kept on the ground performing engine runs and its place was taken by C1K XV108. ZD241 flew from Brize on an air test, first flight since arriving on 30 July and sadly too late for the planned three-ship formation. 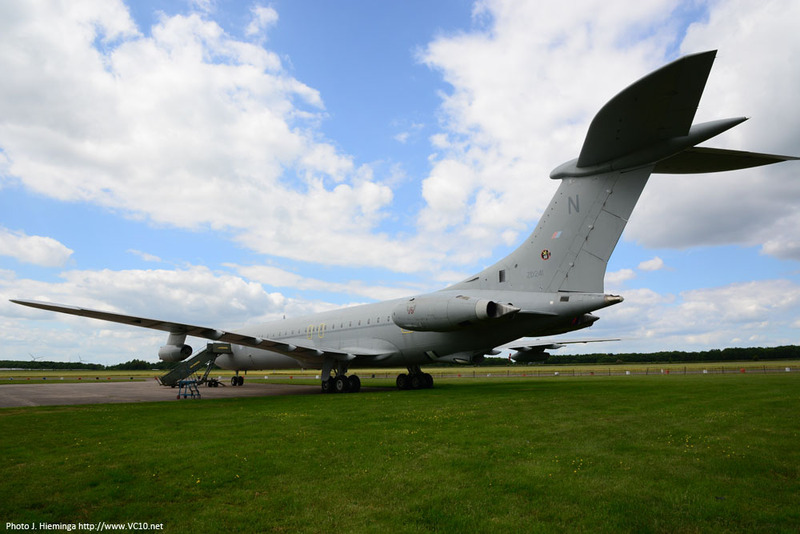 10 September 2012 Left Brize Norton for the Falkland Islands. 2013 Scottish aviation heritage association Morayvia attempted to purchase ZD241 but sadly did not manage to secure the needed funds. 8 March 2013 Returned from last deployment to the Falkland Islands as 'RRR2127' via Las Palmas. 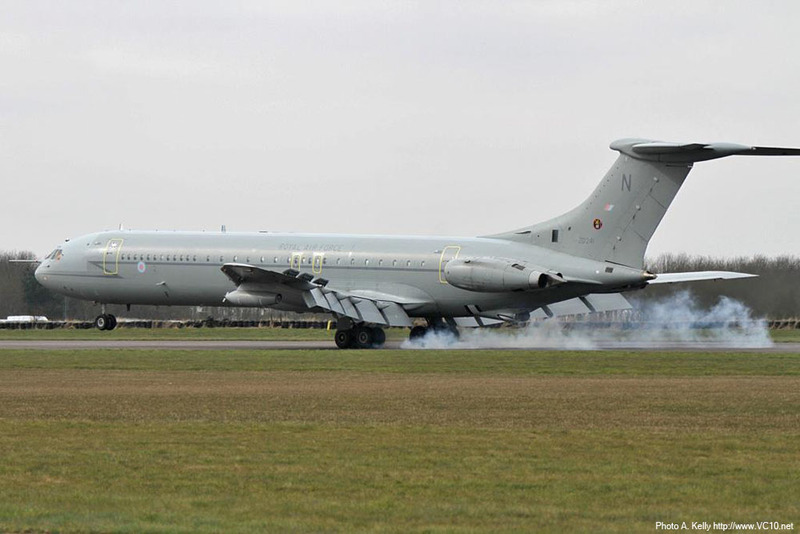 21 March 2013 ZD241 performed its last landing at Bruntingthorpe around 12:48LT. Total hours on the clock: 52716:55 of which 7034 hours in RAF service. 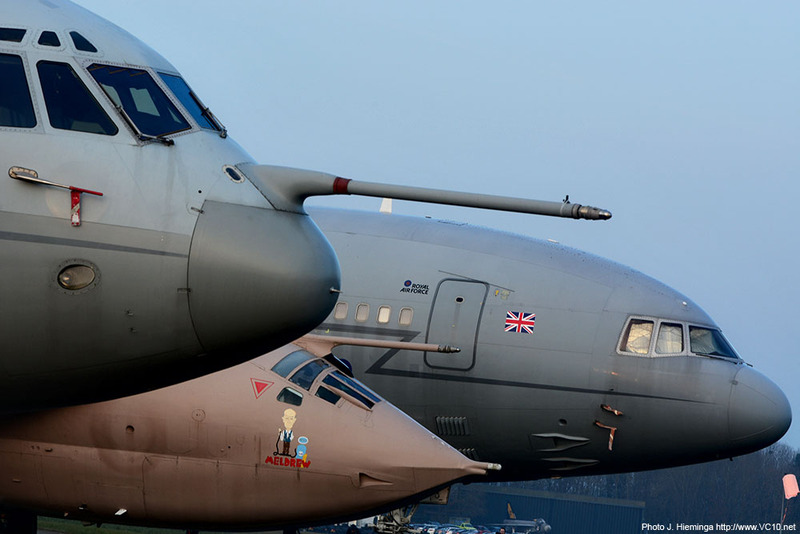 December 2013 Although its engines had been removed after arrival at Bruntingthorpe, December saw the airframe reunited with a brace of Conways. 31 March 2014 First four-engine run for ZD241 in preservation. 25 May 2014 After a trial run along the runway on 1st May ZD241 performed its first taxi run during the Cold War Jets day at Bruntingthorpe. 1. 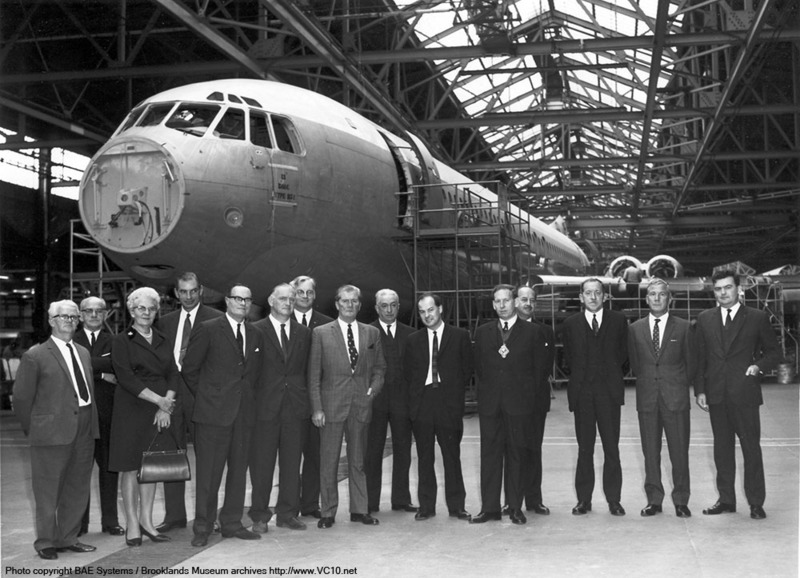 I don't know who these people are but the airframe behind them is the 13th BOAC Super VC10, also known as G-ASGM, having its wings fitted on the W1 assembly line. 2. A brand new G-ASGM is seen here at Wisley in front of the hangars, which must have been either late February or early March 1968 as 'GM didn't spend much time there. 3. In the late 70s, G-ASGM is seen landing in full British Airways colours. 4. In storage at RAF Abingdon during the 80s. It is clear that the airframe can use a bit of cleaning. 1. In storage at RAF Abingdon during the 80s. It is clear that the airframe can use a bit of cleaning. 2. After its conversion to a K4 tanker ZD241, seen here landing, initially carried the hemp scheme of 101 Squadron. 3. ZD241 as seen from another aircraft in this air-to-air photo. 4. March 1998, passing fuel to a Nimrod which is on its way to the Falklands. 1. ZD241 parked at Mount Pleasant, Falkland Islands, during the last year of its active career. 2. Parked at Mount Pleasant. 3. On this photo the three VC scrolls that ZD241 carried during the last months of its career can be seen. 4. Two more photos taken at the Falkland Islands. 1. Two more photos taken at the Falkland Islands. 2. Flight deck of the last K4 tanker, with some 1435Flt Typhoons in the hangar behind it. 3. 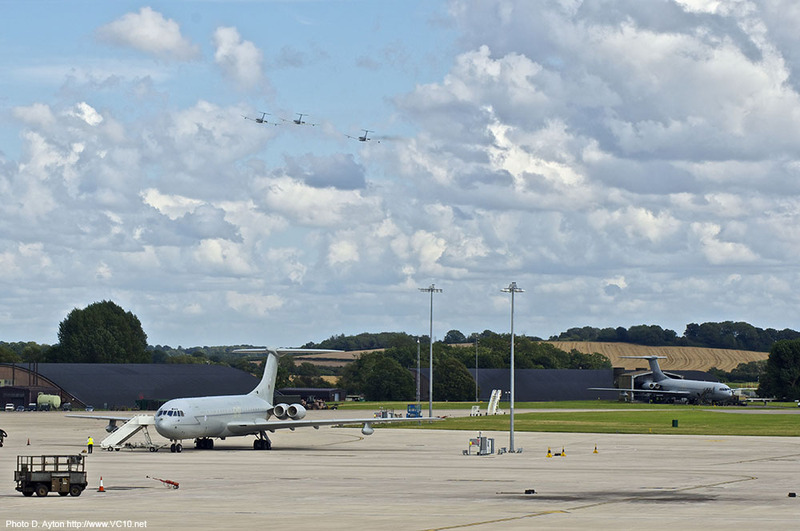 As the last VC10 three-ship formation passes overhead, ZD241 is performing engine runs on the detuners at Brize Norton. 4. Final approach, ZD241 crosses the treeline at Bruntingthorpe. 1. 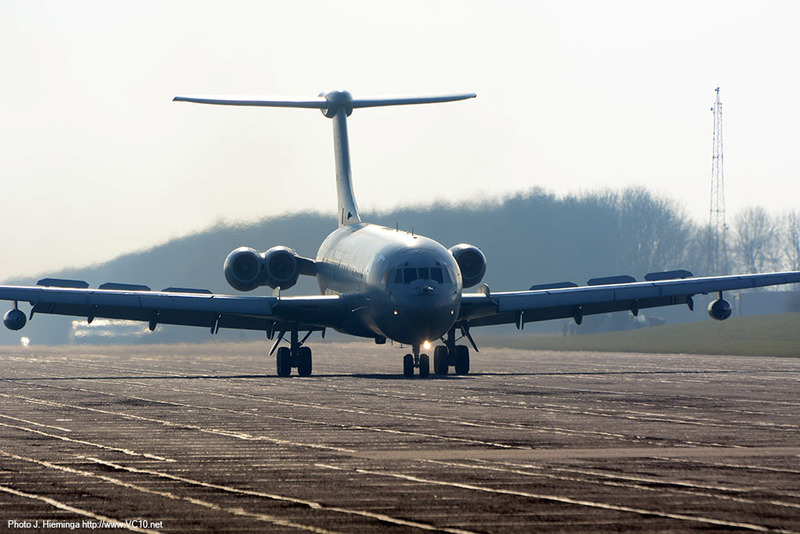 The last ever landing for an ex-BOAC Super VC10. 2. 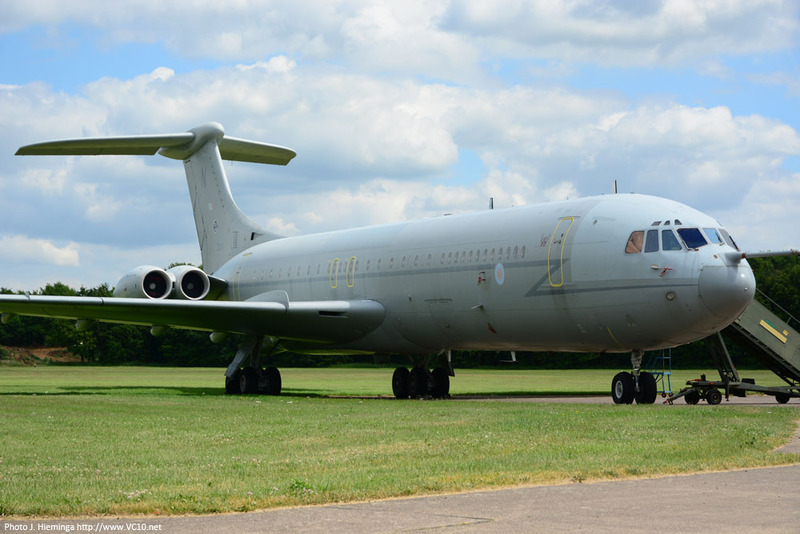 VC10 K4 ZD241 seen at Bruntingthorpe in June 2015. 3. The aircraft is maintained in live condition at Bruntingthorpe and performs regularly at the open days, together with the other live airframes there. 4. Although the airframe was initially deactivated after arrival, the missing parts have been reinstalled. 1. 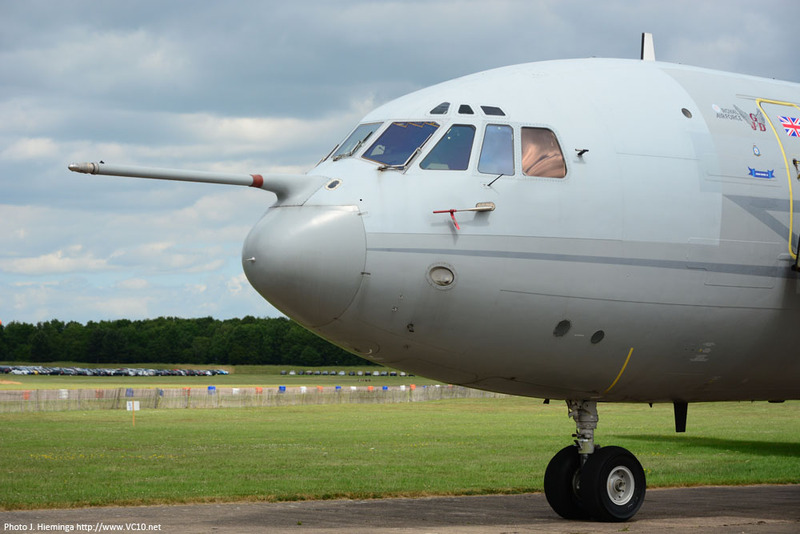 Looking at the VC10 from a distance, this is no static museum piece but a fully functioning airframe. It looks ready to go back to work, delivering fuel to other aircraft. 2. 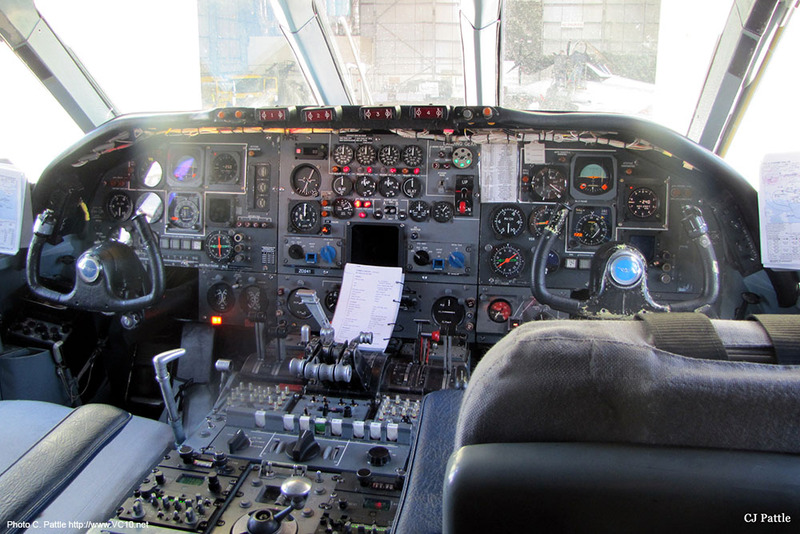 The flightdeck of ZD241. 3. 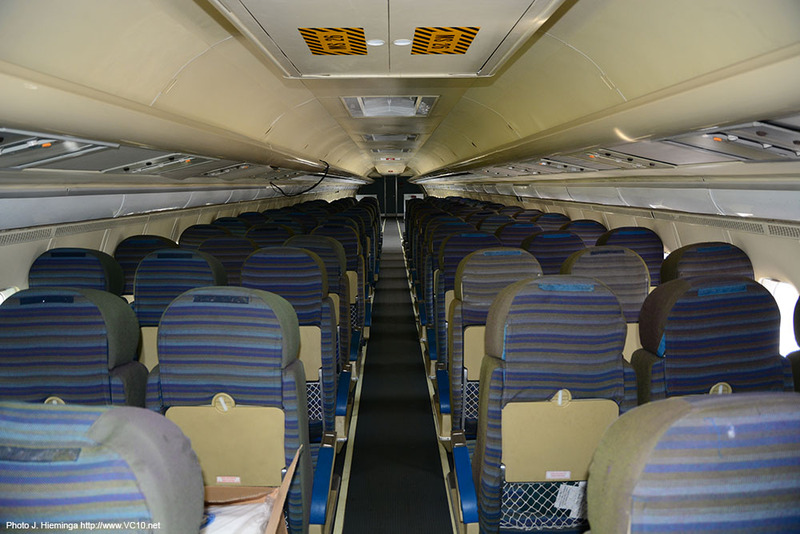 The cabin is fitted with several rows of seats, facing backwards of course. There is plenty of room in the cabin of a K4. 4. 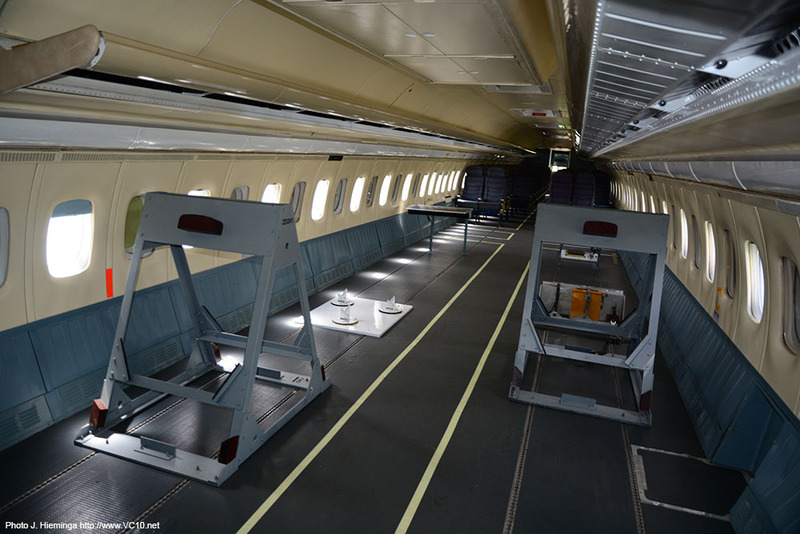 The aft end of the cabin contains several frames in which the various intake blanks and covers can be stored. 1. In March 2016 a taxi run was carried out for a photo event at Bruntingthorpe. ZD241 has all four engines running here. 2-4. ZD241 performing its taxi run down the Bruntingthorpe runway. 1. 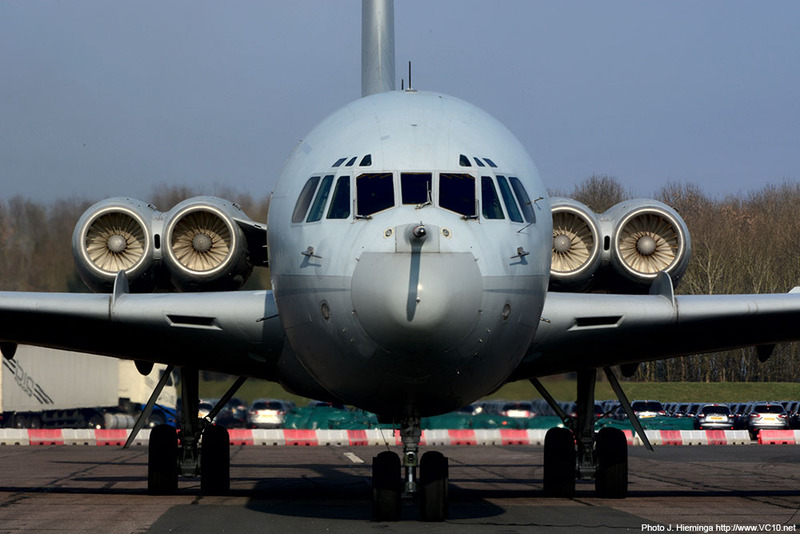 After the taxi run the VC10 was positioned on the runway with two other RAF tankers, the Tristar and the Victor. 3. 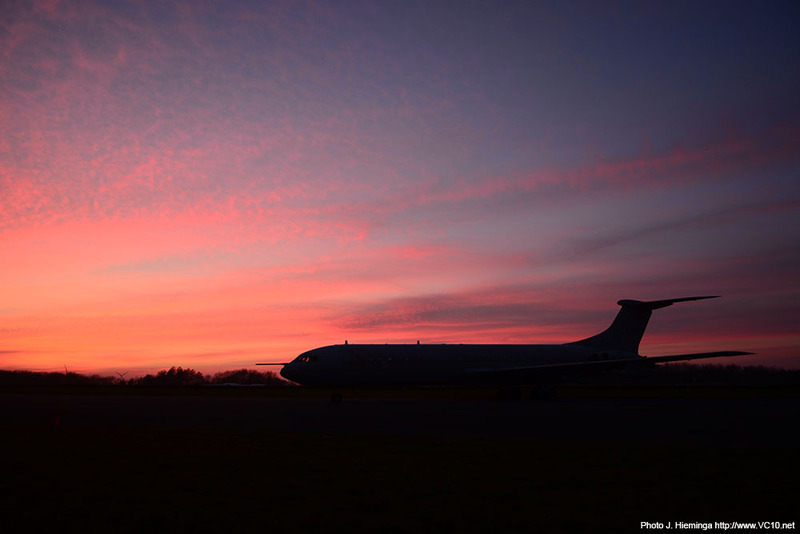 As the sun went down the lines of the VC10 still stood out against a dramatic backdrop. 4. Artificial lighting was used at a later stage to illuminate the three airframes. The first public taxi run of ZD241 at Bruntingthorpe, as seen from the outside and the inside. BOAC/BA As above but with British Airways titles on the forward fuselage. BA First British Airways ('Negus') scheme, white over dark blue fuselage with grey wings. Top of fin and stabilizer in red with Union Jack section. British Airways titles and small Speedbird on front fuselage. RAF First RAF 101 Sqn 'Hemp' scheme. Grey undersides with hemp colours on top and fuselage sides. Toned down markings and large letter on fin. RAF All over grey scheme with large lightning flash down the side of the fuselage. Toned down roundels and fin flashes, code letter 'N' on fin. In later years the cockpit area and fuselage spine were painted with a different, lighter coloured, undercoat, to lower the temperature inside. After retirement ZD241 received logos of its new owner GJD Services on the engine nacelles and next to the entry door.